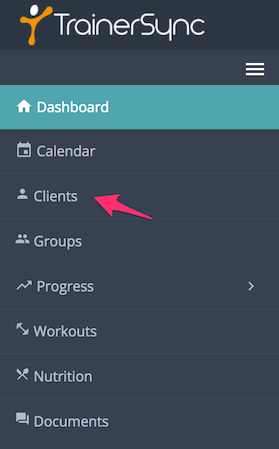 Adding a client allows you to keep track of progress and workout data. Click “Submit” to add a client. You can invite your clients to use TrainerSync. We will send an invitation to the email address you provide. Clients will then be able to log in and track their progress, workouts, nutrition, send and receive documents, and book sessions with you. 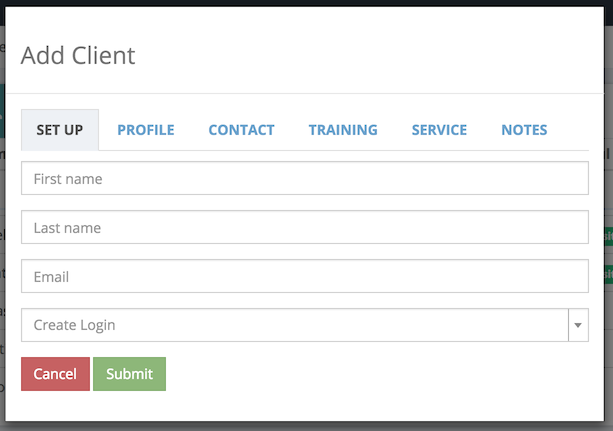 Alternatively, you can simply add a client to your own account without giving them access to TrainerSync. This is useful if you want to build a client’s profile before inviting them.